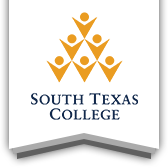 South Texas College is committed to providing the best possible online experience to all its visitors. South Texas College adheres to the standards set by Texas Administrative Code §206.70 and by the World Wide Web Consortium (W3C). Additional information about accessibility programs in Texas is available from the Governor´s Committee on People with Disabilities at http://www.governor.state.tx.us/disabilities. Visit our Accessibility website to learn more about how to make your digital content viewable for everyone.